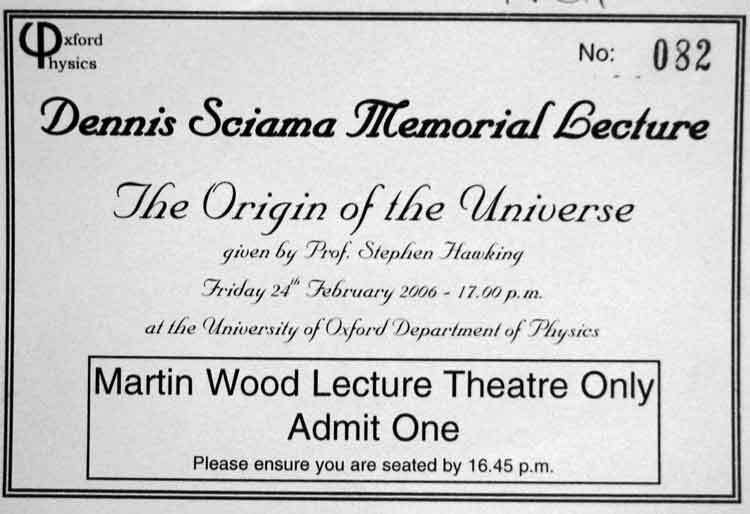 On Friday 24th February 2006 I was very fortunate to be given a ticket to the Third Dennis Sciama Memorial Lecture given by Stephen Hawking at the University of Oxford Physics Department. Tickets were in much demand so I was very lucky to be able to represent DDAS at the event, courtesy of Neil Clifford, Starlink Systems Manager. The connection with Dennis Sciama is explained here. I arrived in Oxford around mid morning in order to make the most of the day. I toured around, visiting the Museum of Science, took in an exhibition at the Ashmolean (a microretrospective of Tom Phillips artwork) and Modern Art Oxford, just managed to fit in a quick look at the meteorites in the University Museum and Pitt Rivers Collection before heading for the Astrophysics department. Neil took me up through the building to the roof and the new observatory dome, which was only finished this year. Following loss of viewing due to encroaching buildings and with a lack of proximity to the Sub-Department in the Denys Wilkinson Building (DWB), it was decided to move the telescope to a new and purpose built observatory on the roof of DWB on Keble Road. 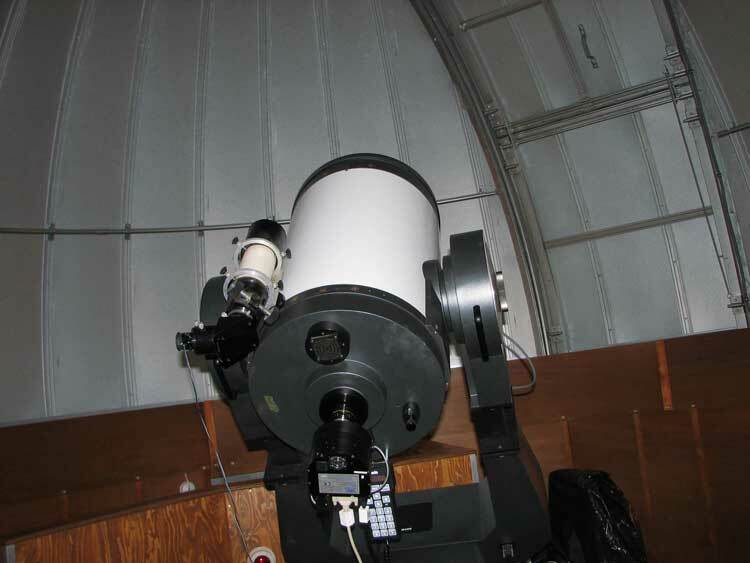 The Philip Wetton Telescope (PWT), the first new telescope in Oxford for 30 years, was originally installed in December 1996 in the South Tower dome of the former University Observatory and until last year provided a facility for graduates and undergraduates in the Sub-Department of Astrophysics. 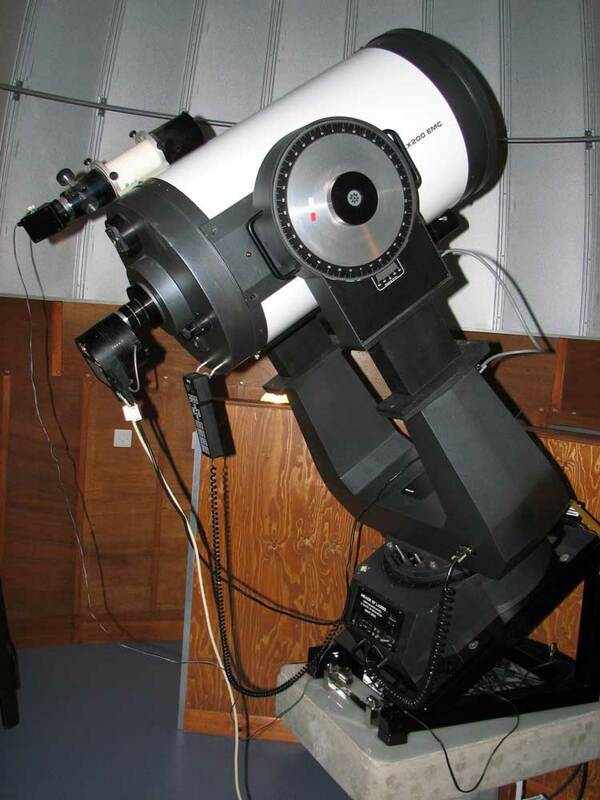 The telescope, a 0.4 m (16 inch) aperture Schmidt-Cassegrain by Meade Corporation of California, was presented to the University by Philip Wetton CMG FRAS. Mr Wetton, a graduate of Christ Church was, before retirement, Her Majesty's Consul General in Milan. The telescope was donated to enable students of astrophysics at Oxford to make and interpret observations of the night sky in much the same way as a professional astronomer would do. Mr Wetton also endowed the position of Philip Wetton Professor of Astrophysics, the post currently held by Professor Roger Davies who has also recently become the Chairman of the Department of Physics. At around 4 pm we both headed for the lecture where Neil was part of the technical team setting up for telecasting the lecture to other parts of the University and as far as the International School for Advanced Studies (SISSA) in Trieste, Italy. The Trieste broadcast was fully interactive throughout the lecture. The live link was tested and the seats filled quickly with students and many well-known physicists. 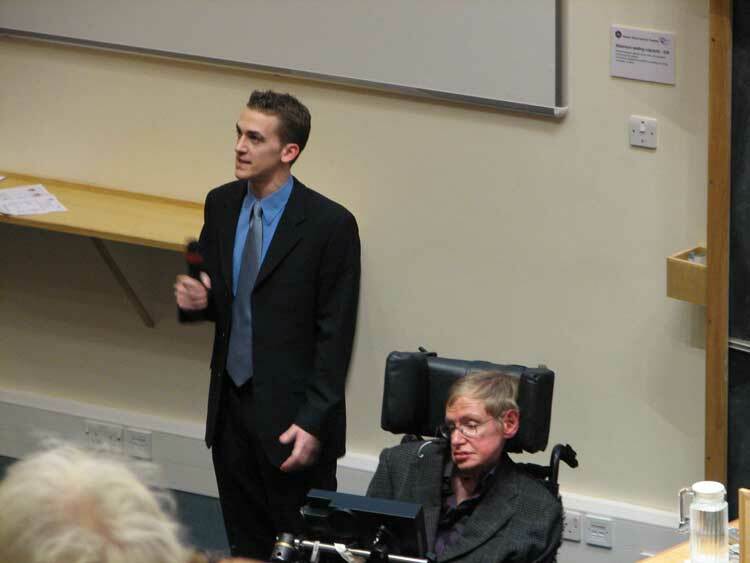 The room was buzzing as Stephen Hawking arrived with his assistant, Chris Burgoyne. The introduction was by Professor Joe Silk (Savillian professor – the chair that Halley first had). 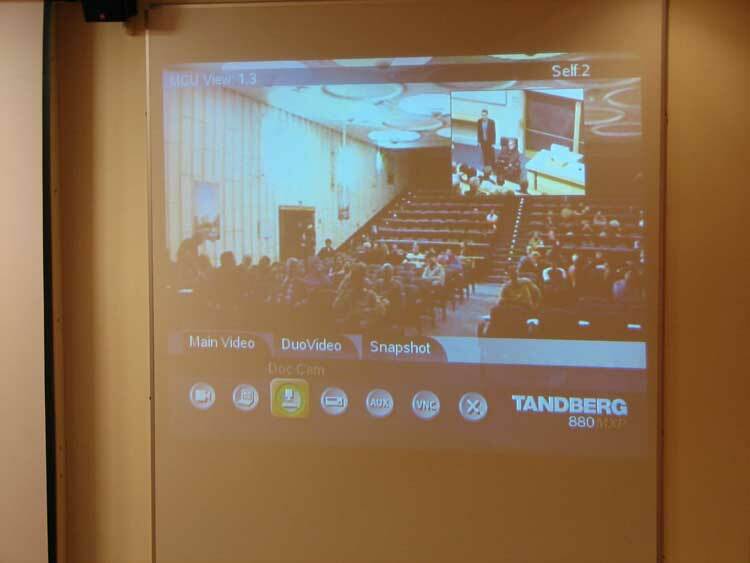 The live link was tested and the seats filled quickly with students and many well-known physicists. 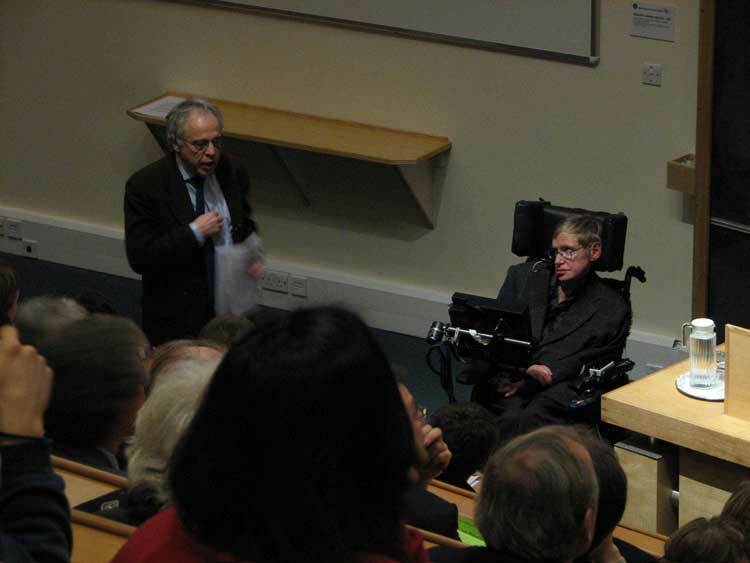 The room was buzzing as Stephen Hawking arrived with his assistant, Chris Burgoyne. 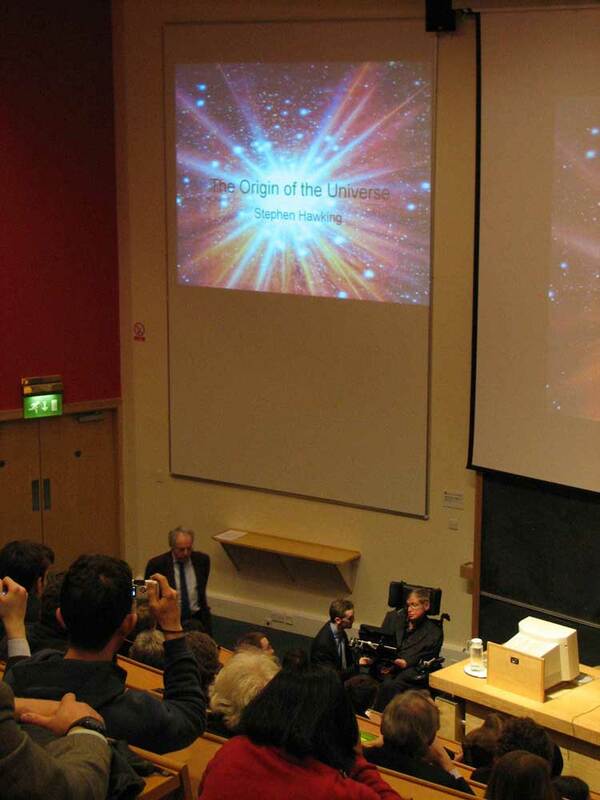 The introduction was by Professor Joe Silk (Savillian professor – the chair that Halley first had). Stephen Hawking then began with a potted history covering a variety of theories that people have had concerning the beginnings of the Universe and Time, touching on the dilemma and conflict with religion along the way (e.g. What was God doing before the beginning of the universe - was he preparing hell for those who asked such questions?). He illustrated the lecture with many amusing slides depicting his theories and others, covering absolute time, Einstein’s space time work, Karl Popper’s positivist philosophy, the work of Hubble in 1920 confirming the expanding universe, steady state ideas, contracting and expanding notions etc. and leading to his own work with Penrose which proved that there was no ‘bounce’ but a ‘singularity’. This was illustrated by slides showing the background microwave radiation left over from the big bang. He concluded by relating the work of Richard Feynman to his own, quantum theory and irregularities in background radiation forming the blueprint for the structure of the universe, finishing with his work on black holes. His lecture was followed by a question and answer session, with questions that had been pre-prepared in order that he had answers ready. Questions from Triest included one about the possibility of other universe. Apparently we have to wait until 2007 for that as a satellite scanning gravitational waves may give us the answer! There were others about the 11 dimensions and he was asked about his recent work. He informed us that he thought he had made a new breakthrough in understanding how black holes retain or lose information. He likened it to the burning of an encyclopaedia, where the information is not exactly lost and might be accessed - it has just been recycled in another form! 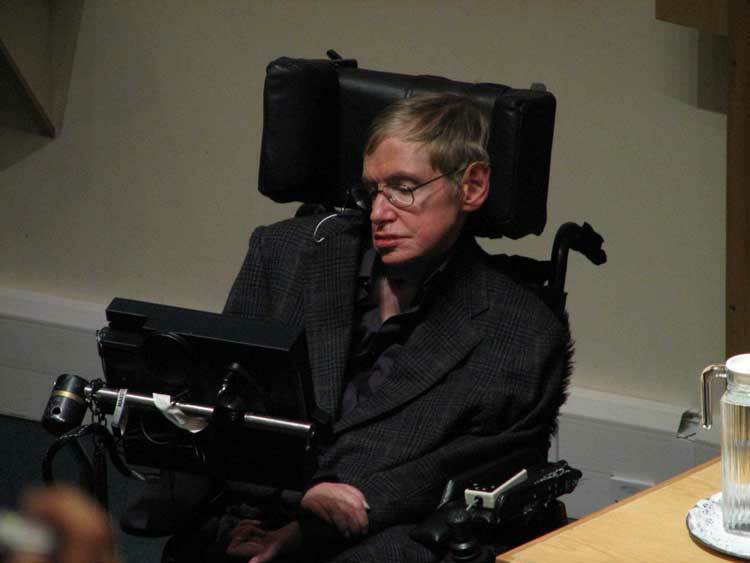 There were a couple of unprepared questions which Stephen Hawking worked on while his assistant took questions about his role, how he assisted in making up the PowerPoint slides, communication methods and the hardware and software that they use. They still use most of his original menu based software for composing written and spoken material which only allows 5 or 6 words a minute - aptly illustrated by the half hour that elapsed before Professor Hawking was able to deliver his final answers. Afterwards I was able to attend the reception where many illustrious people mingled in groups and discussed aspects of the lecture - Jocelyn Bell-Burnell (discoverer of pulsars), Roger Penrose (mathematician), Joe Silk (Savillian professor - the chair that Halley first had) and I was introduced to Professor Steve Rawlings - current head of astrophysics. There were also two other Professors of astrophysics around - Roger Davies (now chairman of the physics department) and Professor Mike Jones. Philip Pullman (author of the award winning trilogy His Dark Materials) was also in attendance. What a great day! One I shall always remember. All pictures in this article were taken by Graham Ensor.